The Superboiler T5 flange facer can achieve high quality finishing with its automatic cut feed from the OD inwards. 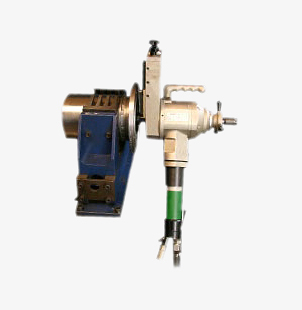 This machine has an automatic radial feed of a 60mm max stroke. The machine locks concentric to the bore of the flange, with the axial feed being manually indexed. FUNCTIONS – Stock finish, smooth finish, gramaphone finish, on flanges, valve seats and gaskets. POWER – pneumatic or electric.